Joey sat up, banged his head against the upper bunk’s metal frame, and fell back down. “Joey, are you awake?” June asked from another bunk. He shouldn’t have snapped at June like that. She’d been so nice to him since he’d been here. He just wasn’t handling this situation as well as he thought he might be able to. The worst part was he discovered he was prone to passing out under duress. That sucked. June must think he was such a wimp. Joey leaned up on one arm. His face got closer to June’s than he intended. He scooted back slightly. She frowned slightly. Joey couldn’t help but flush. June’s touch felt good. He’d never had a girl, let alone a woman, be so nice to him. What a change from Earth. Vic’s lifeless body had been laid out in the kitchen. His face was pallid and sweaty. Either side of his neck had been heavily bandaged and spots of red soaked through. Until this moment Joey had almost thought of Vic as invincible. Stupid thought. No one is invincible. Seeing Vic like this ran the point home. The only other person in the room was Dexter who stood vigilant over Vic’s body. His three independently blinking eyes looked fretful. “Isn’t there anything else we can do for him?” Joey asked as he sat on the bench next to Vic but far enough away from Dexter. “Nope. It’s a waiting game now.” June fixed two glassed of steaming liquid. She offered one to Joey. The liquid’s black surface swirled and streaked. A sniff reminded him of solder flux, but in a good way. It didn’t sting or burn. A sip and his tongue came to life; the metallic taste a pleasant surprise. When he swallowed his entire insides warmed. June only smiled and took a sip of her own. June pulled away and left the room. Vic’s eyes snapped open and he lurched forward. His scream brought June back into the kitchen. “What happened?” She asked, frantic. “I don’t know. He just asked…” June pushed him away. Her touch, so tender just a few moments ago, pained him. Sure Vic was hurt, but he’d get better. Vic had already adjusted to this place. Seeing June and Vic from the corner of the room Joey felt alone. Very alone. Nothing but a third wheel. Why did he ever push that button? Why? 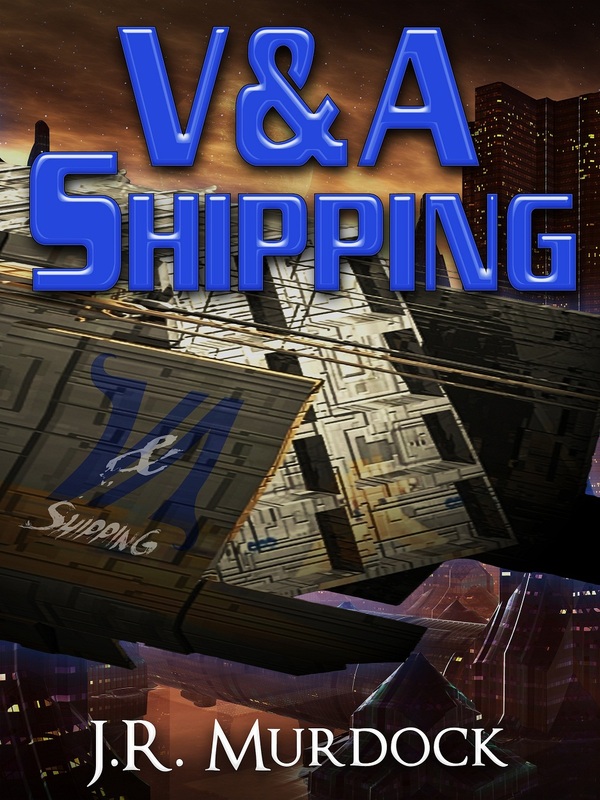 Posted on February 22, 2013, in V&A Shipping and tagged chapter, read along, v&A shipping. Bookmark the permalink. Leave a comment.